Born out of a requirement of higher online payment success rate, Citrus is a key player in the Payment Gateway industry. It competes with major players like BillDesk, TechProcess, CCAvenue, etc. Citrus was co-founded by Satyen Kothari and Jitendra Gupta in 2011. It is engaged in the business of payment processing for credit cards, debit cards, bill payments, prepaid cards and all other kinds of payment instruments. The company has secured funding from Sequoia Capital and Ascent Capital. 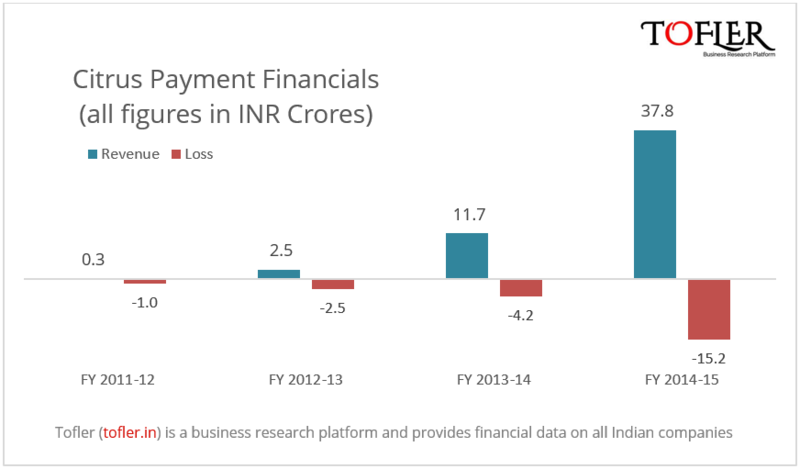 In this article, Tofler takes a look at their financial performance in FY 14-15. The company earned a revenue of INR 38 crores in FY 2014-15 as against INR 12 crores in FY 2013-14. Its revenue grew more than 3 times in this period. However, it incurred expenses to the tune of INR 53 crores in FY 14-15 and made a loss of INR 15 crores as compared to INR 4 crores the previous year. The losses grew more than 3 times. The major source of revenue for the company is ‘commission fees’ at INR 36 crores and its biggest expense is the commission expense at INR 30 crores. It might sound strange to a few readers that a Payment Gateway is in losses. One of the reasons of such losses could be extremely competitive pricing to achieve high growth and market penetration. Payment Gateways charge a transaction fee per transaction on its gateway (which contributes to the commission fees) and a monthly or annual maintenance fee from the merchants using it. They pay a part of the transaction fee (commission expenses)to the bank which holds the account from which payment is being made. E-commerce is on the rise and the online payment requirements are set to increase. 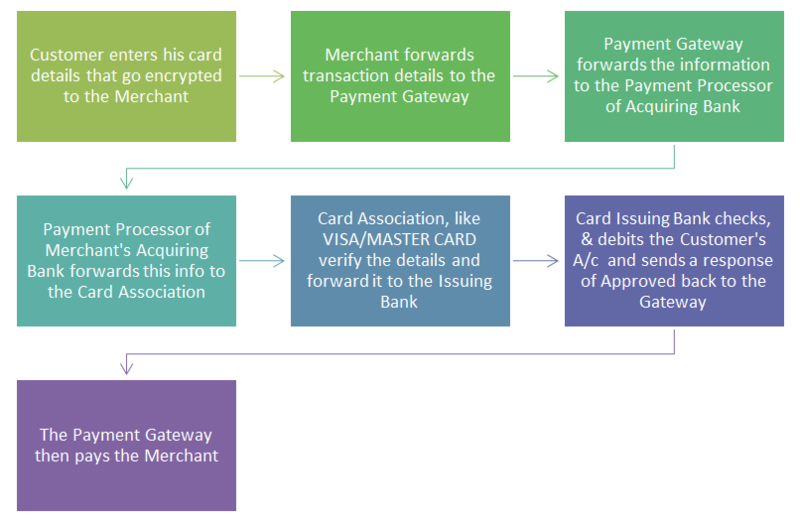 The Payment Gateway industry is set for enormous growth in the future in India. We wish Citrus good luck in the “war of the gateways”.